BEAUTIFUL. PRACTICAL. SOPHISTICATED. Overlooking an EXPANSIVE LAKE & GOLF COURSE w/ one of the BEST VIEWS in University Park Golf & CC. 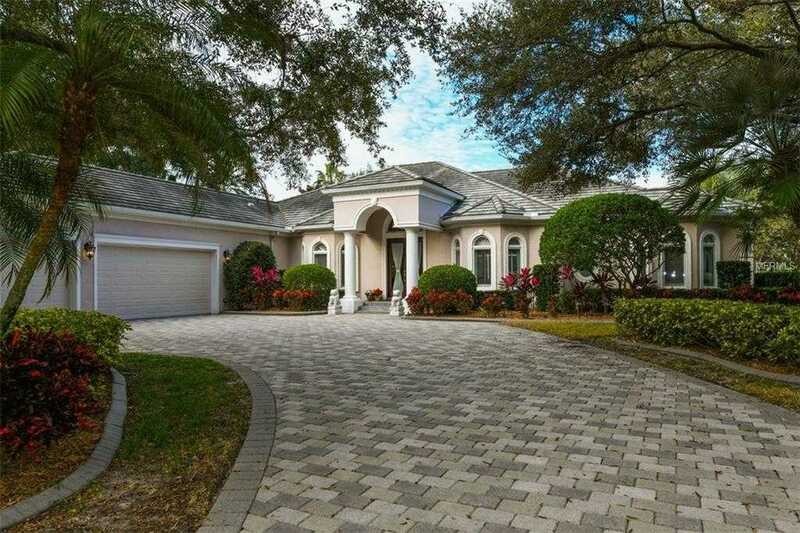 This guard-gated masterpiece is built with integrity & jeweled with refined finishes. You 8217;ll peer through her soul the moment you enter through her elegant front doors and gaze toward the wall of sliding glass doors that frame the water. Her BEAUTY is displayed by the presence of rich Potomac cherry wood floors, expansive water views from most of the home, high ceilings, thick crown molding and luxurious appointments. Her PRACTICAL qualities include 3415sf, an open floorplan w/ split bedrooms, UPDATED quality finishes, formal dining, both living & family rooms, plantation shutters, 2014 tile roof, circular & paved driveway, & THREE CAR GARAGE w/ epoxy finish. Entertain with ease in the custom kitchen w/ carefully crafted cherry cabinetry, thick granite, significant center island, abundance of counter space, built-in displays, accent lighting, and Dacor & Sub-Zero appliances. The master suite offers a private retreat w/ tranquil views of the water, large bath offering a spa tub w/ separate shower, dual sinks, Cr 232;me marble and substantial closet. She presents an air of SOPHISTICATION with an executive office w/ stately built-in shelving & tray ceiling. The expansive outdoor space provides a 40 8217; INFINITY EDGE POOL w/ pebble tech, expansive pool cage, Georgian slate & Chicago brick decking and a captivating WIDE VIEW of the sprawling lake. Enjoy her superior offerings. Membership required; Golf, tennis, fitness, dining an social activities are available through UPCC Membership levels. Expansive lake and golf course views. Refer HOA documents for pet guidelines. Please, send me more information on this property: MLS# N6103869 – $1,000,000 – 7412 Mayfair Ct, University Park, FL 34201.